I'm taking a trip down memory lane right now and just remembering some of my favorite chapter books from when I was a kid. Some of them were dated even back when I was a kid, but I loved them anyway. I hope your kids love these books as much as I did. Oregon's got a new award...the Oregon Reader's Choice Award, or ORCA for short, and your young reader can vote for the winner. They just need to have read at least two of the books in their grade group to vote. Check out the full list here. We'll have a voting area set up in the Children's Room March 1-15 to gather up their choices. Did you know that if you want to search for a book specifically at the Tigard Library, there is a way to do that? Go to the Washington County Cooperative Library Services site. Click on Search in the upper right-hand corner. In the upper right-hand corner, you will see a drop-down menu labeled Switch to Another Branch. Select Tigard Library. Do a Keyword or Advanced search. Find the drop-down menu next to Limit By: and select Local Titles Only. Your results will bring up only items owned by Tigard. You will still need to Check Availability to make sure the item is In at Tigard. Because you selected Tigard as your branch, Tigard items will be listed at the top. 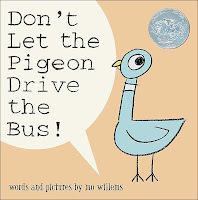 Lisa's recent post about saving the picture books inspired me to share with you my list of favorite picture books. Here is my list in alphabetical order by author, because I couldn't possibly put them in order of favorite. They're all my favorites! Most of t hese authors have multiple titles that I absolutely love. So if you can't fi nd a specific title I have suggested, look for others by the same author. An October 2010 New York Times article sited evidence that the glorious picture book is becoming less of a staple for children for several reasons, including a struggling economy and academic and parental pressure for kids to start reading chapter books earlier and earlier. A children's book author has come up with a wonderfully positive response to this sad news: She's created a save the picture book campaign! Visit the Save Everything (and the Picture Book) blog for reading suggestions and a worksheet you can fill out with your child for a chance to win the most wonderful prize of all, free books! 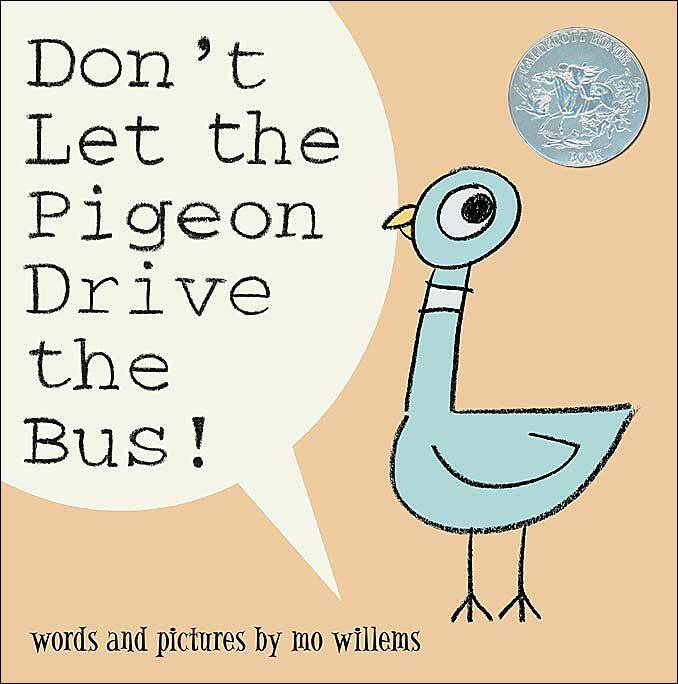 Remember that picture books are not only lovely and comforting to read, they are challenging in their own right. Good picture books engage children as interactive readers who must interpret pictures as well as words, and learn vocabulary and concepts that are typically more advanced that those they'll find in early chapter books. Even more mature readers can benefit from picking up a picture book and digesting a full range of sophisticated art, writing and feeling that one can rarely find elsewhere in literature. Ask your librarian for some suggestions. We all have our favorites. Mine include The Rainbow Goblins, Harry and the Bucketful of Dinosaurs, Roxaboxen, Elena's Serenade and A Bad Case of Stripes. Yesterday we learned that Brian Jacques, author of the Redwall series, passed away over the weekend due to a heart attack. Jacques wrote so many wonderful fantasy books loved by readers young and old. I'm grateful that he was so prolific and we are left with nearly forty fantastic novels. Redwall begins when the peaceful life of ancient Redwall Abbey is shattered by the arrival of the evil rat Cluny and his villainous hordes. Matthias, a young mouse, determines to find the legendary sword of Martin the Warrior which, he is convinced, will help Redwall's inhabitants destroy the enemy. The exciting Redwall stories make great read-alouds, so come by the library to check one out, or one of Jacques many other books, and share it with your young reader. that our Juvenile Hindi collection is now available for checkout! I know it's small, but we have to start somewhere! As I said in my post a couple of months ago, it joins the Juvenile World Languages collection along with Arabic, Chinese, French, German, Japanese, Korean, Russian, Somali, Tagalog, and Vietnamese. If you like the first in the series, then surely you'll like the second! I just finished the second Benjamin Pratt book and am eager to start on "Another" book (pun intended). The New Year that most Americans celebrate follows the calendar of the sun. The Chinese New Year follows the phases of the moon, so it happens a little different time each year. This year it began on February 3. The celebration of the new year lasts for 15 days including parades, firecrackers, decorating with red, and getting and receiving money! Just in time for the Chinese New Year, I read The Star Maker, by Laurence Yep. Eight-year-old Artie is the youngest of all the cousins, and somehow he ropes himself into promising to give everybody in the family firecrackers. Luckily, his favorite uncle, Chester, who was also the youngest in his generation, offers to help. But there is one problem. Chester has a little issue with gambling. Will Artie be able to fulfill his promise with his uncle's help? Here are some other books about the Chinese New Year for all ages, fiction and non-fiction. Overdue fines...almost everybody has them at some time! Help your Tigard neighbors in need and reduce your library fines at the same time with our Food for Fines Drive, Sun. Feb. 6 thrugh Sat. Feb. 12. Every two food items donated will equal $1 in overdue fines. All the food collected will be donated to the Tigard St. Vincent DePaul food pantry. Check our website for a full list of acceptable donations.